Signing up for a book club? Starting out a new career? Trying to buy items online? 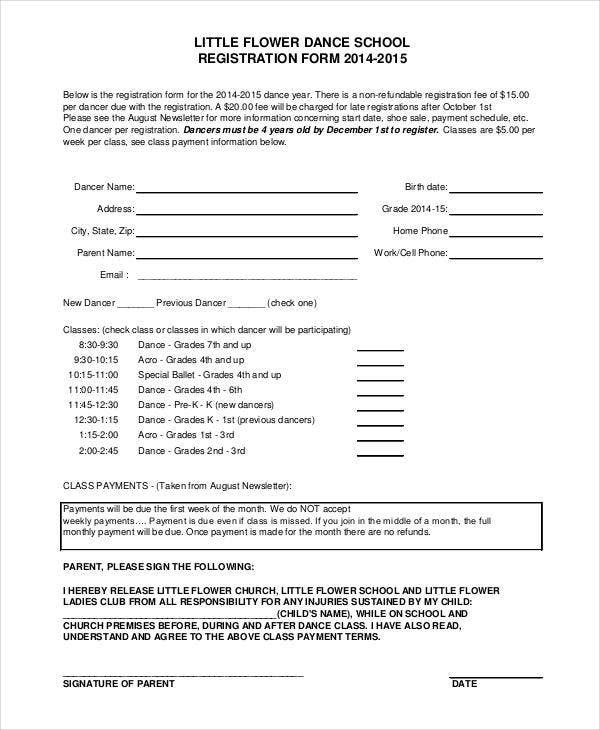 When doing any of these, you might encounter a registration form first. Before signing up, club members or organizers might need a few of your personal information. When seeking a job, registration forms usually follow after submitting application forms. When you want to buy or pay for something online, websites require you to sign in. 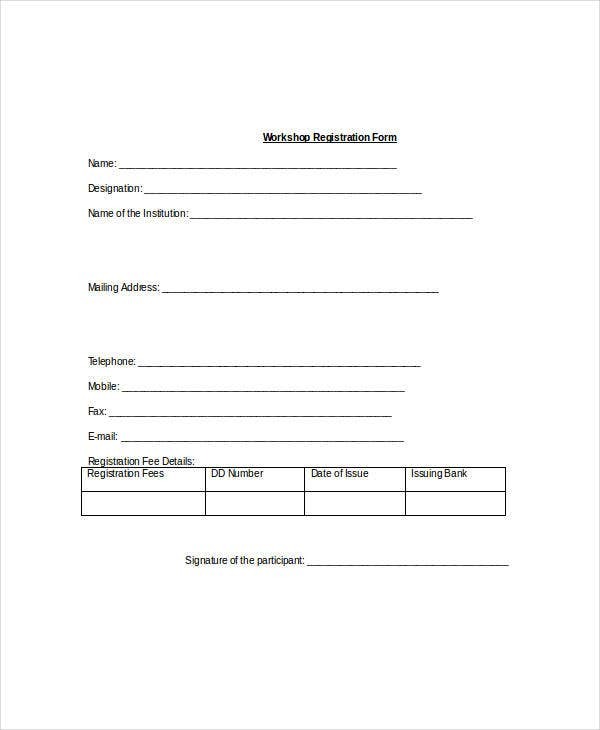 Registration forms are very important to any event or activity as it allows you to collect all the necessary information needed from attendees or clients. And without them, monitoring and regulating the number of attendees or monitoring sales would surely be confusing. Schools. 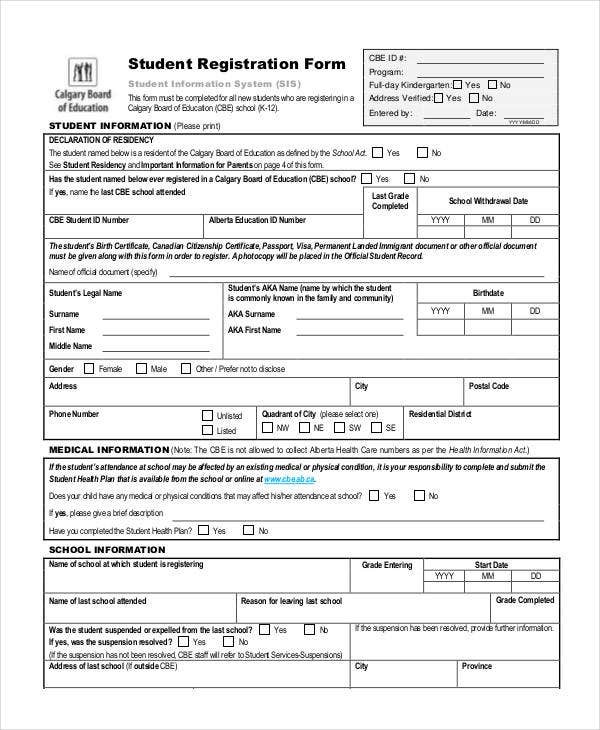 Student registration forms are initially given during school application. 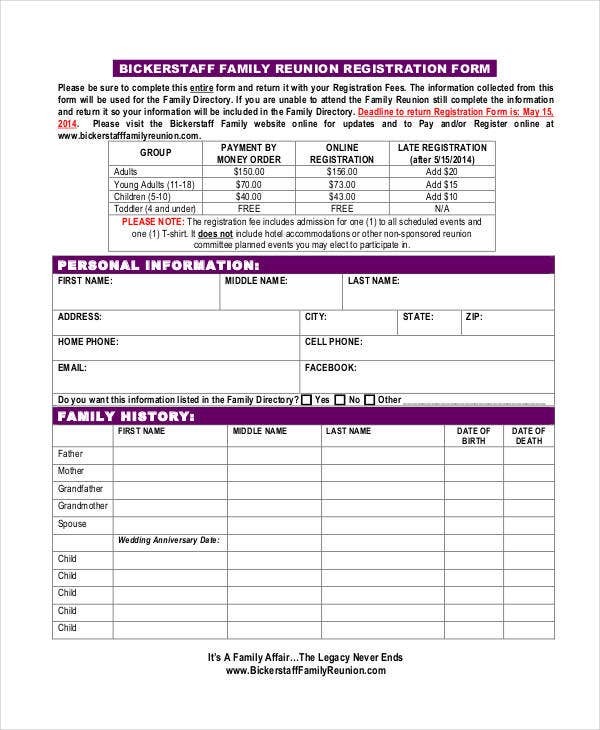 This form requires student applicants to emphasize their family and educational background. Workshops and conferences. 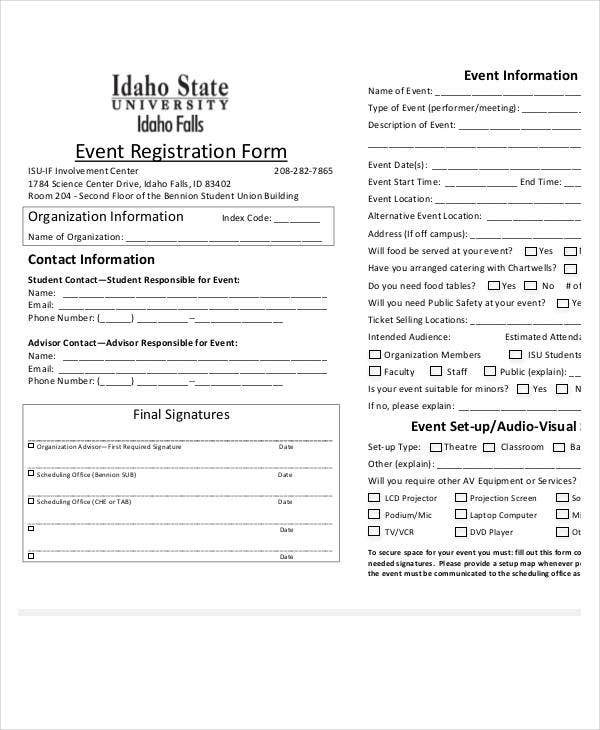 This forms aims to gather general information from its attendees as well as the total number of people attending. Camps. 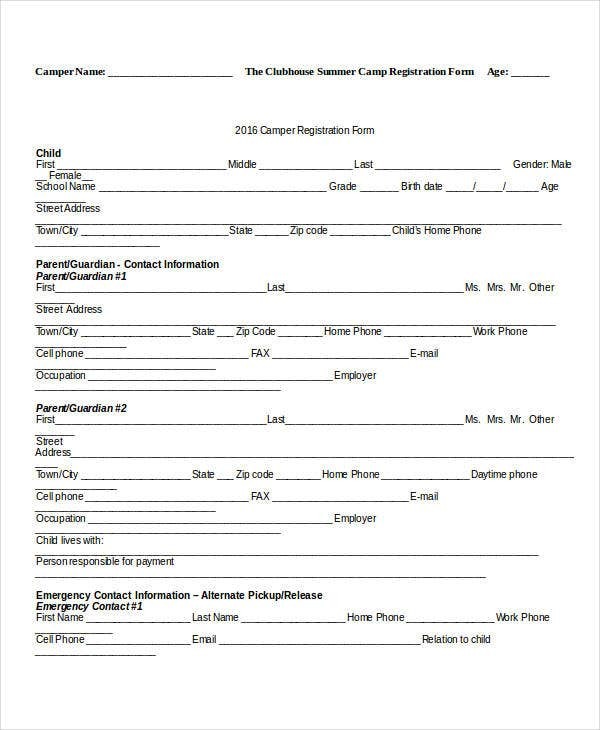 Completely filling out a camp registration form is very important especially on the part of the guardian or parent’s name and contact information. Hospitals. 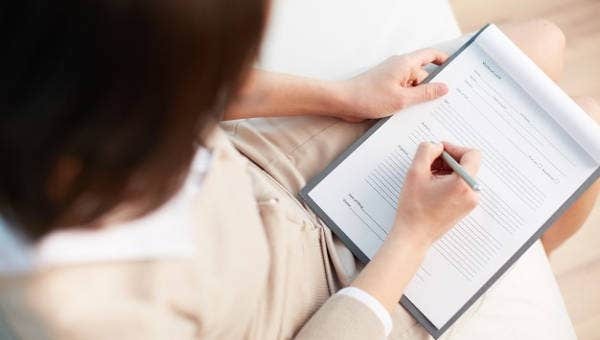 Patient registration forms gather relevant information that can be directly connected to insurance and billing processes. When lines for onsite registration are too long or taking up too much time, PHP Registration Forms can be used to save both time and energy. 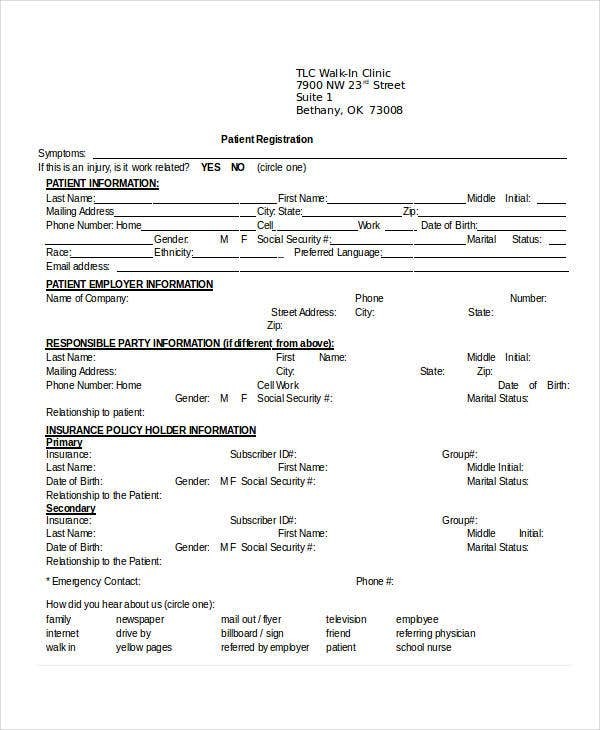 Either way, these forms have the same content and similar layout on gathering the needed data. If you want to start an online form, you can browse and download any of the templates available from our archive. 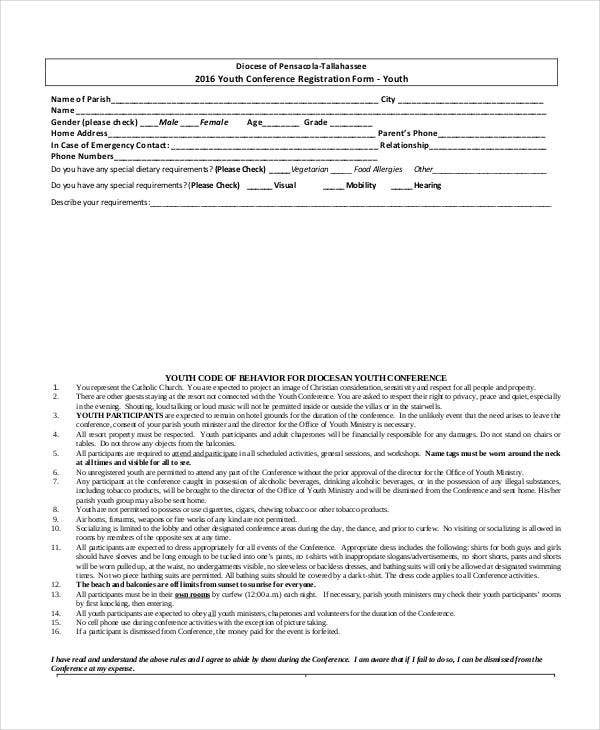 Registration forms in hard copies are more convenient if you have a small target group. 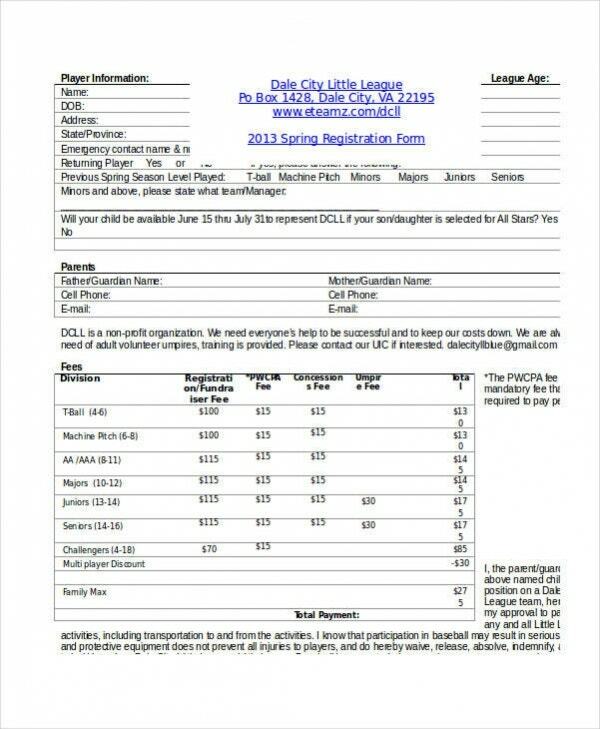 Fortunately, templates for printable registration forms are also readily available in this page. However, one downside to pen-and-paper registration is incomprehensible handwriting. On the other hand, online registrations are deemed easier and more convenient to administer. If you opt to make one, a PHP Login Form Template is found in our impressive collection. These are easily downloadable, and each of their content ensures that all the important information needed for the event are collected. Gauge the time and space needed for the registration. Make sure the registration is easily accessed. Have a sufficient number of facilitators assigned. Have enough forms and pens. 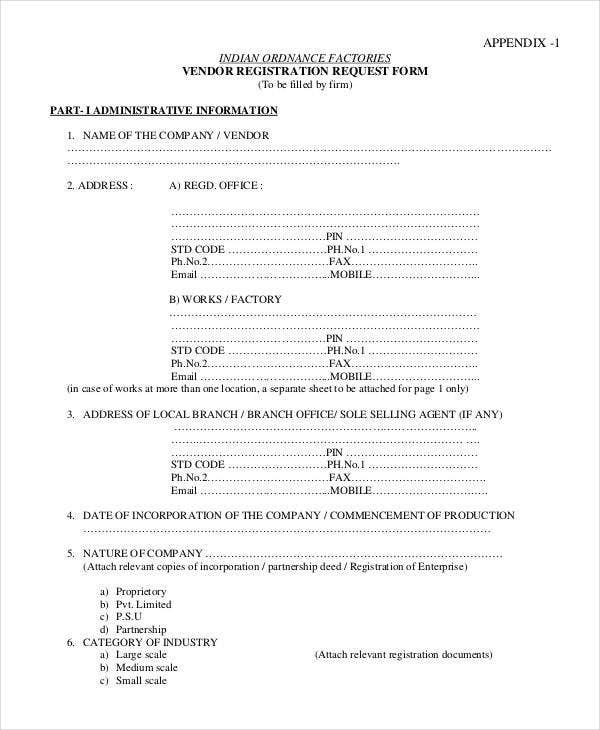 Every successful event and transaction starts with a good and well-made registration form. With the tips mentioned above and the registration form templates you need, you can surely have the fastest and most convenient registration method.